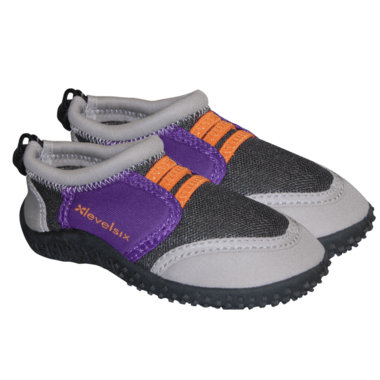 Make sure your little one's feet are protected with the Level Six Lagoon water shoe. With neoprene mesh panels, elastic straps and an adjustable bungee cord to secure foot, your little swimmer will be comfortable and stylish. Please use caution when walking on any slippery surface.